Choose 1 number between 1– 49. If your chosen number is drawn out of the 7 lotto balls you are a winner! You WIN 5.5 x the amount you played. E.g. Playing R10 will win you R55 PLUS the R10 you played. Choose 2 numbers between 1– 49. 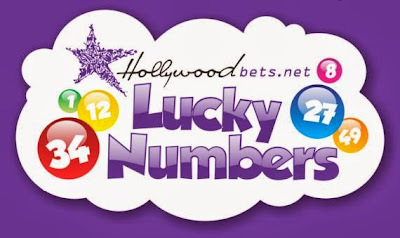 If both of your chosen numbers are drawn out of the 7 lotto balls you are a winner! You WIN 52 x the amount you played. E.g. Playing R10 will win you R520 PLUS the R10 you played. Choose 3 numbers between 1– 49. If all three of your chosen numbers are drawn out of the 7 lotto balls (including the bonus ball) you are a winner! You WIN 400 x the amount you played. E.g. Playing R10 will win you R4000 PLUS the R10 you played. Choose 4 numbers between 1– 49. If all four of your chosen numbers are drawn out of the 7 lotto balls, you are a winner! You WIN 4000 x the amount you played. E.g. Playing R10 will win you R40 000 PLUS the R10 you played. Predicting the correct bonus ball will win you 47 times the amount you played! E.g. Playing R10 will win you R450 PLUS the R10 you played. Correctly predicting the Bonus Ball as either a HI ball or a LOW ball, will double your money! E.g. Playing R10 will win you R10 PLUS the R10 you played. Total amount won = R20. Number 25 is the bookmaker's ball and all bets on high-low will be losers if number 25 is the bonus ball.